Rosanne has been in the Real Estate world for 8+ years. 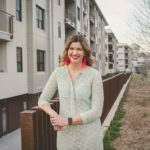 Both her parents were intertwined in the construction industry, her father was a General Contractor working with large commercial renovations throughout Atlanta and her mother worked in the office handling all the paperwork, making it a family business. Rosanne joined the Real Estate world as an investor. She has been through it all personally: small cosmetic renovations, large "down to the studs" renovations, structural work, waterproofing, mold remediation, and much more. She still has many rental properties, and even some rented out as furnished rentals or Airbnbs. After deciding to get her real estate license, she has helped hundreds of buyers and sellers fulfil their real estate dreams: buying their first home, capitalizing on their sale and moving on, and investing in the real estate industry. A couple of years ago she convinced her husband, Daniel, to join her team and start Roots Real Estate. Roots now has 4 agents and a marketing director. As a fun-loving group, each member is eager to help dreams come true. Every day they are learning something new, whether it be about each other, their clients, the market, or industry itself. Come see what Roots is all about and hopefully, you can learn something new too! 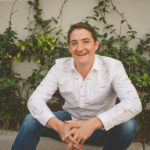 After founding a successful Tech Startup, Daniel joined his wife Rosanne in the Real Estate world and they've been Keller Williams' top selling team year after year. 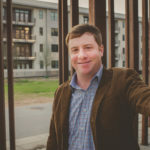 Daniel grew up in Atlanta and has extensive knowledge about the neighborhoods and developments happening around the city. 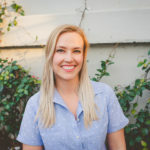 Lauren has been with Roots Real Estate for over a year as the Operations Director but recently acquired her Real Estate license and is now helping our clients find their dream home! She's lived in Atlanta for 10 years, is a foster mom for pups and loves a good glass of wine! Andrew was born and raised in Atlanta and lives locally with his wife and puppy in the Kirkwood Neighborhood. He recently joined the Roots team as an agent specializing in the investment side of the business bringing several years of experience finding rehab and rental projects for clients around the city. Current Golf handicap: 4 and digging it. 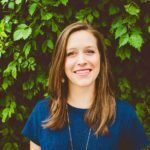 After living in LA for 3 years, Kristen recently moved back to Atlanta with her husband and joined the Roots Real Estate team! She helps market your home when you're ready to sell and search when you're ready to buy. One of her favorite feelings is the warm fuzzies when first-time homebuyers get the keys to their new home! Coffee is a non-negotiable for her, so if you need a coffee shop recommendation, she's got you covered!